When the weather is beautiful, walking outdoors can turn into more than a leisurely stroll — it can become a workout! After all, walking more can help lead to serious weight loss. To turn a daily stroll into a workout, though, it’s important to have the right support for your feet. So, we spoke to experts about what to look for in the perfect walking shoe. When you’re walking, the critical muscles and tendons around the ankle require the most support. The peroneal tendons (on the outside of the ankle) help stabilize the ankle and prevent the foot from "rolling in" on uneven surfaces, said Illinois Bone & Joint Institute surgeon Dr. Anand Vora. “Women especially want to be sure to accommodate the forefoot (the toe area) and to stabilize the hindfoot and ankle with secure lacing,” Vora noted. While walking and running shoes may appear to be virtually the same, they're different. "The actual walking shoe itself is slightly lighter and more flexible than the running shoe, which tends to have more weight and rigidity,” said Dr. Kevin Kinney, an Atlanta-based chiropractor. Another major difference between walking and running shoes? “The sole of the shoe,” Kinney said. While runners tend to strike the ground with their toes, walkers typically strike on the heel and might require additional arch support. For this reason, walkers should look for shoes with more cushion in the back and a drop to the toe box of the shoe. So, how do you chose a walking shoe with enough support in all the right places? In general, the choice boils down to fit and comfort. “You do not want to choose a shoe that is too constricting or doesn’t allow your foot to breathe,” Kinney said. Mesh and canvas shoes seem to be the most popular choices for comfort, breathability and weight. 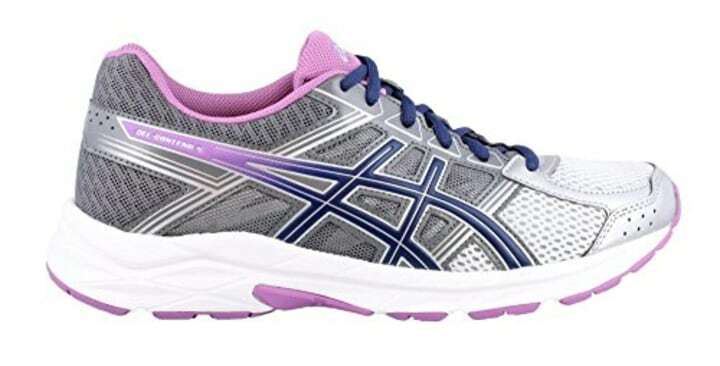 Kinney's recommendation, the Asics Women’s Gel-Tech Neo 4, has been discontinued, but a similar version, the Gel-Contend 4, is very similar. Also available for $50 at Macy's. According to Kinney, the lightweight mesh upper allows flexibility and ventilation while adequately supporting the ankle, and the gel technology in the sole adds comfort and stability. As a personal trainer for women and a weight loss coach who helps women meet their goals through exercise, I advise my clients to wear what feels comfortable to them. Even if the shoe fits and is supposedly the best for walking, be sure to make your own assessment and wear a shoe that doesn't cause pain after or during a workout. Also available for $70 at Zappos. An all-around great walking shoe, the 608 features an EVA foam footbed for comfort, an internal shank for support, a drop design to provide extra cushioning for heel strikers and a durable leather and mesh upper. Also available for $73 at Zappos. 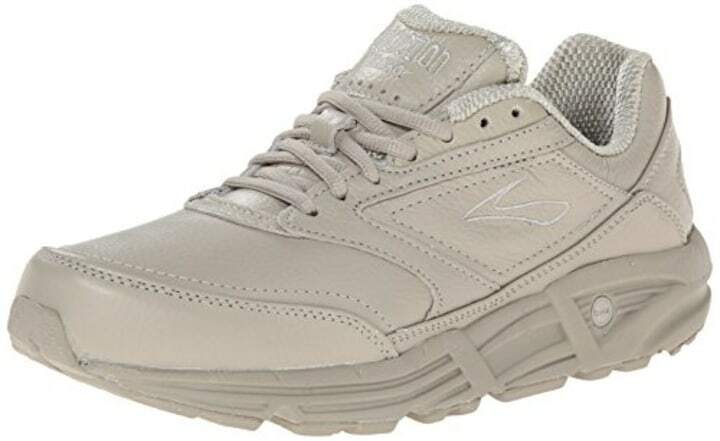 These walking shoes feature a forefront stretch zone which adds comfort by providing more room for the toes. 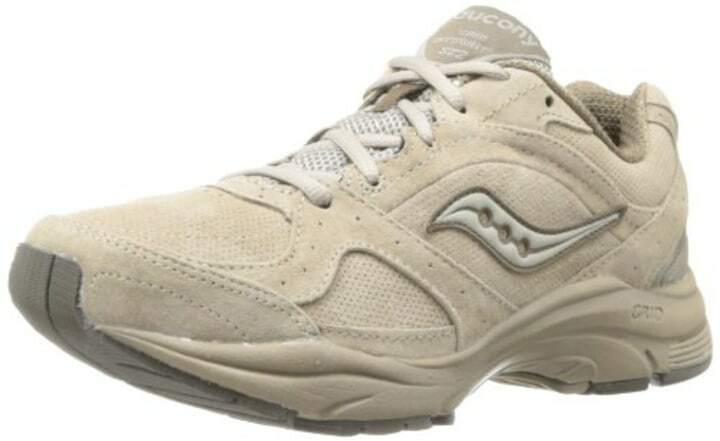 Perforated leather makes these shoes both durable and breathable, and Saucony added rubber to portions of the sole that hit the ground most often. 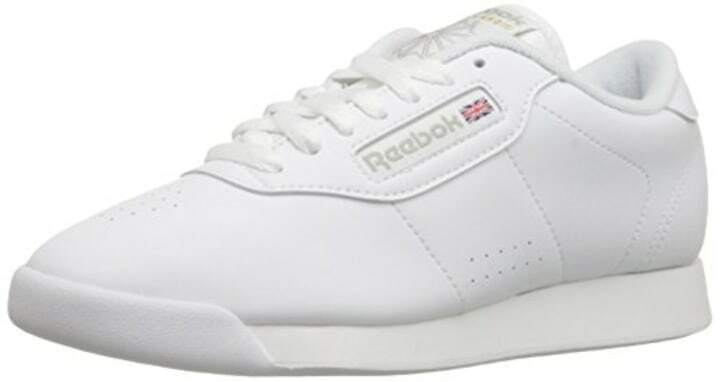 Also available for $50 at Reebok. For people who need a shoe with enough support to get through a long walk, but look sleek enough to wear with dress slacks, this is it. While a more breathable, flexible shoe works better for everyday workouts, these are perfect in a pinch or for traveling. Also available for $45 at Nordstrom Rack. Looking for a colorful walking shoe? Check out this lightweight pair from Ryka. 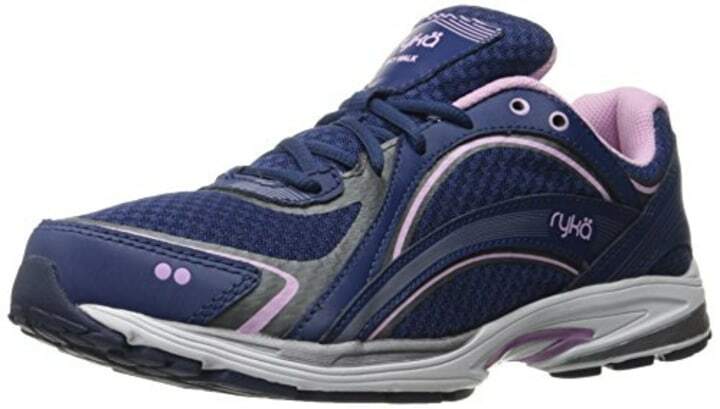 With a rubber traction, a breathable mesh upper, memory foam and an EVA outsole, these shoes will get through any long walking workout with ease. Also available for $120 at Zappos. Brooks is known best for its running shoes, but the company also makes a durable walking shoe with a removable cushioned insert and a flexible, shock-absorbing sole. Still not sure which shoe to try? Illinois Bone & Joint Institute physical therapist Julie Sunday said to consult an expert for a formal gait analysis. “A physical therapist can provide one; it is done barefoot on a treadmill, and the results can be essential to your long-term skeletal health,” she said. Remember, even in a walking workout, inflammation can build up and manifest itself in fatigued muscles, achy joints and soreness. To prevent soreness and tension, Cameron Fischer, a co-founder of VitalFit Nutrition in Boston, said to try red fruits and vegetables. Stephanie Mansour is a health and fitness expert and weight-loss coach for women. Join her complimentary weight-loss challenge here!